In our 100% online Back Safety in the Workplace training, students will learn about back safety, including injury prevention techniques and guidelines. This course may be taken as an initial course or as an annual refresher training in order to help meet OSHA requirements. Back injuries are a major workplace safety issue. The Bureau of Labor Statistics states that over one million workers experience back injuries each year. In this Back Safety in the Workplace course, students will receive back safety training and back injury prevention training. Techniques and guidelines for back injury prevention will be provided. The course may be used as an initial course or an annual refresher to help meet OSHA requirements. This course should be used as part of an employer’s overall Back Safety Program for employees. This course includes up-to-date, high quality training designed with your learning as our top priority. The course features interactive training, which combines audio and visual elements for maximum retention. The course is completed entirely online using a computer with an internet connection and is available 24/7. For your convenience, it can be completed over time, and your progress will be saved in our state-of-the-art Online Training System (OTS) to the last section completed. We are so certain you will be satisfied with your experience, that we offer a 100% Money Back Guarantee*. Back disorders and injuries | Factors associated with back disorders | Signs and symptoms | Contributing factors | Manual materials handling | Administrative and engineering controls | Other prevention and controls | Worker training and education. Prevention strategies | Back safety programs | Exercising to strengthen your back and reduce stress | Losing excess weight | Maintaining good posture | Lifting objects | Back belts. Midrange postures and the power zone | Planning a lift | Lifting guidelines | Stretching | Team lifting | Raising the worker | Carrying guidelines | Alternative methods to lifting. The objective of this back safety training course is to meet the Federal OSHA Training requirements for employee training on health and safety. This course should be used as part of an employer’s overall Back Safety Program for employees. This course is designed to help meet the Federal OSHA Training requirements for employee training on health and safety. This course should be used as part of an employer’s overall Back Safety Program for employees. 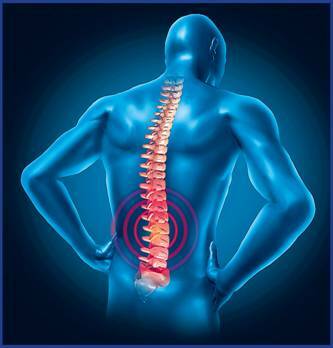 OSHA has a Technical Manual where you can learn more about Back Disorders and Injuries online. Sections help users to learn about: Factors that contribute to back disorders; Signs and symptoms of back safety issues; Reporting and investigation guidelines; and Prevention and control. Per OSHA, workers should be provided job specific back safety training, including back injury hazards, safe work practices, and controls in the workplace. Training should include ergonomic principles, back hazards and injury recognition, reporting procedures for hazardous conditions, and the back injury reporting procedure. Please note that this course provides valuable back safety training and back injury prevention training which applies to a general population of employees. This course is not meant to replace company-specific Back Safety training provided by your employer on procedures for your particular work environment. You must be trained by your employer on the hazards, equipment, engineering and administrative controls, safe work practices and emergency plans specific to your role and workplace.